Sire Aganix du Seigneur Z is one of the best showjumping stallions of his age group and is started in the top sport by Jos Lansink. In addition, Aganix inbred on the mare Gute Sitte on which Eric Wauters won team bronze at the Montreal Olympics. Dam’s sire Chardonnay Z is a son of the mare Rinnetou Z on which Piet Raymakers started in the World Cup Finals. Grandam Ascona Adelheid also produced the international showjumping horse Ramona Adelheid Z (Robin II Z). Great-grandam Pink Floyd is a full sister to the famous GP showjumping horses Sonora la Silla (Jan Tops), Sprehe Padua (Ralf Schneider) and Poor Boy (Beat Mändli). 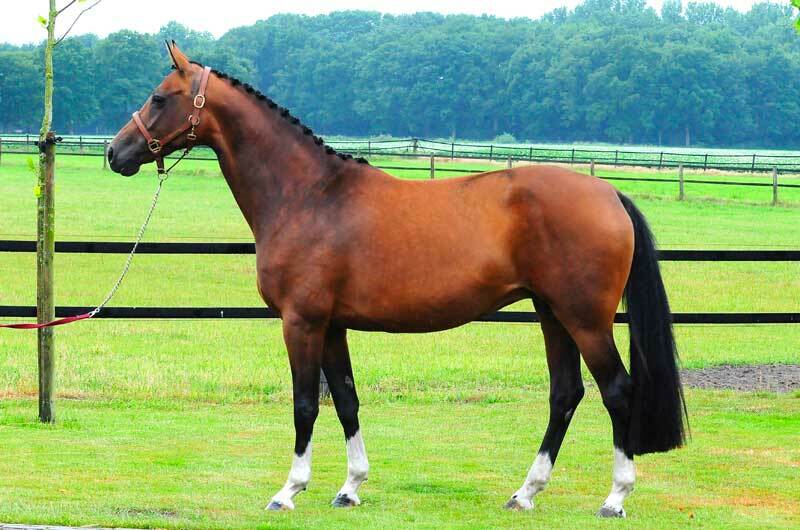 This family also produced the successful sport stallions Zandor Z (Jos Lansink) and Levisto Z (Judy-Ann Melchior).